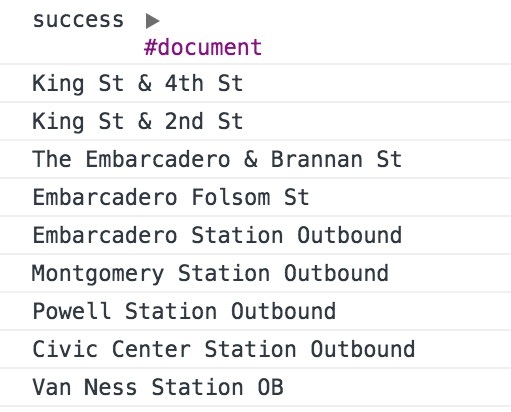 All this means is that when my user selects a transit line, my JQuery is “listening” for the value change or for the “click” and then send the information that was selected (because it can access the DOM) with an Ajax to get the XML for that particular line. 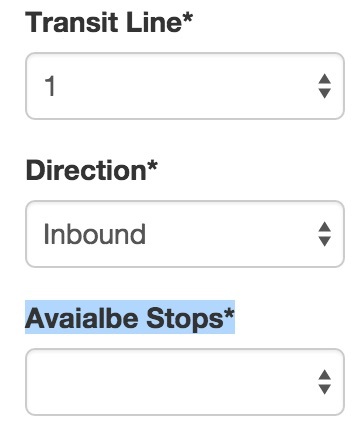 As a default, it’ll select all the “Inbound” stops because my website is defaulted to that. So then my user can select a stop by its name. This is awesome! 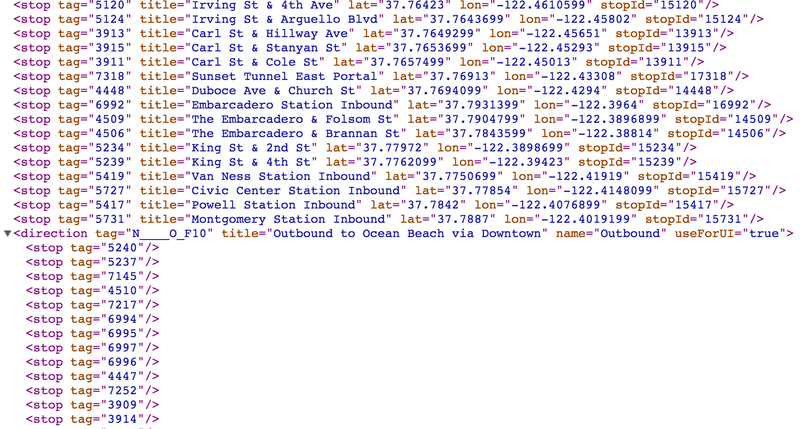 So I was able to write a Ajax request that grabs from my XML all the stop ids that are Inbound stops and with that data to go back to the XML and grab the title (name) of the stop…. So…. now that I know this works, I need to work on the JQuery event listener and I think I need to make my ajax into two parts. One that works when the route changes and one that works when the bound changes. Once I get these then I can feed it into my html and hopeful *cross fingers* be able to put an interactive map and make it super awesome.